Philips unloaded a bunch of big Hue announcements on us here at CES 2018. Over the coming months, we’ll not only get a brand new 3.0 version of the Philips Hue app on both Android and iOS, we’ll finally be able to buy Hue outdoor-approved lights, and also get a more immersive experience with lights syncing through computers during movie, music, or game play. The new Android app will be done in early Q2 and is said to be fully redesigned. Philips says to expect improved daily use, seamless setup of lights and accessories, instant access to last used scenes, and simple grouping of lights. It’ll also take advantage of Hue’s new features, like Hue Entertainment, which syncs lighting to movies, games, and music content. 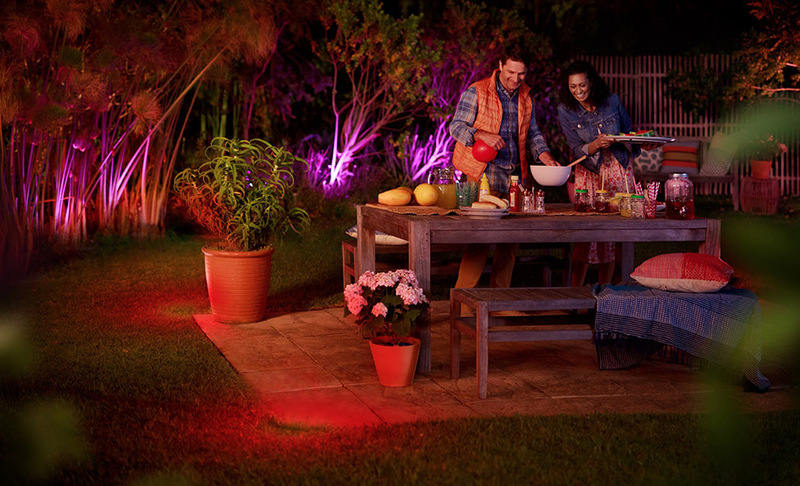 In the outdoor lighting department, Philips will debut an entire line. They didn’t tell us the exact options we’ll be able to buy, but you’ll be able to set scenes and control them in the same way you do with your current Philips Hue lights. All of the press imagery sure makes it look like we’ll get both white and color options too. The outdoor line will arrive this summer. And finally, along with the previously mentioned Hue Entertainment feature that is slowly rolling out through partners, Philips announced Hue Sync. It’s a lot like Hue Entertainment, but you install it right onto your Windows or Mac PC. Once done, it’ll create “immediate, immersive light scripts for any game, movie or music played on the computer.” And that’s cool, because that sure sounds like you don’t need your favorite games or computers or monitor makers to adopt the technology, which is the case with Hue Entertainment (so far only Razer has signed up). 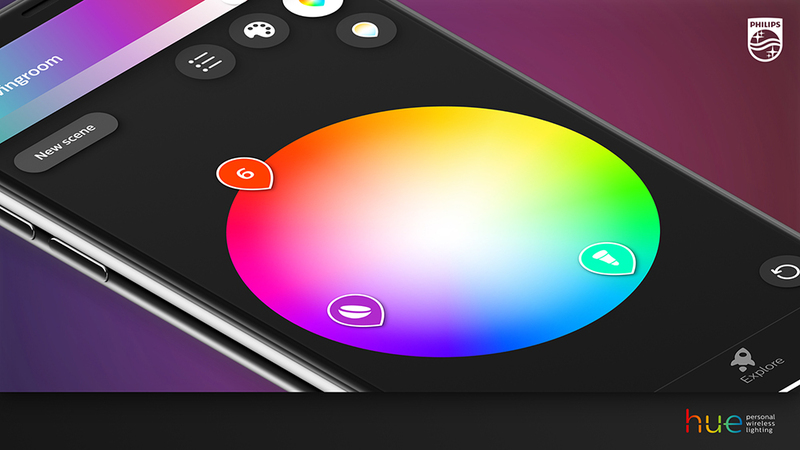 With Hue Sync, you just install and then enjoy color syncing to your content. Hue Sync should be here in Q2.